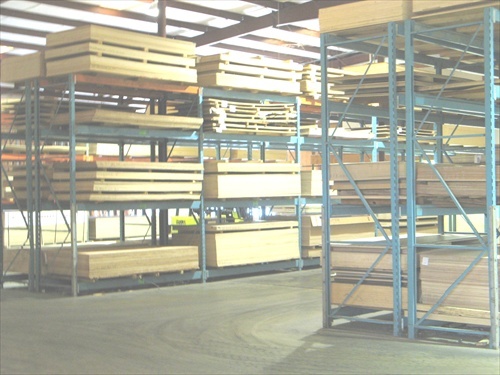 Schaller Hardwood Lumber Company strives to provide its customers with the finest, most consistent quality plywood available on the market. For this reason, Schaller Hardwood has chosen Columbia Forest Products to be their producer of choice. Columbia Forest Products, the nation’s largest manufacturer of hardwood plywood products, has developed a grading system that is "A Standard Beyond The Standard". The American National Standards Institute (ANSI) developed the quality criteria for the grading of hardwood plywood. The ANSI standards were meant to provide a system of guidelines to provide for uniform grading throughout the industry. These initial standards were a good start, however the standards set by ANSI are so broad and general they allow for a substantial variation in quality from manufacturer to manufacturer. Columbia Forest Products "A Standard Beyond The Standard" is a grading system that tightens and improves upon the current ANSI standards. "A Standard Beyond The Standard" spells a guideline of exacting specifications for each grade and specie of hardwood plywood. 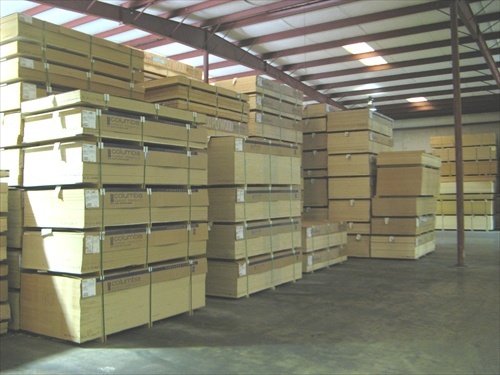 Columbia Forest Products "A Standard Beyond The Standard" is a grading system that ensures consistency from shipment to shipment. By using plywood graded under this system you are assured of hardwood plywood that should look and perform the same panel after panel. R/C—ROTARY CUT—The log is centrally mounted on a computerized, hydraulic lathe and turned at a high speed against a special knife, which peels the veneer in a long continuous sheet, similar to unwinding a roll of paper. A wide variegated grain pattern is often the result. Rotary cut veneer is either left as a whole piece veneer, or is cut into narrower widths to be assembled later into a spliced veneer face. P/S—PLAIN SLICED—The log is cut into half lengthwise. The half log is then moved back and forth against a stationary knife, producing parallel slices through the center of the log. This produces narrow strips of veneer that closely match that of flat sawn lumber. The narrow strips of veneer are assembled later to form the veneer face. RIFT SLICED—Rift sliced veneer is produced in much the same way as plain sliced veneer except that the log is cut into quarters lengthwise. The log is then sliced at a 90 degree angle to the grain. This produces narrow strips of veneer with a straight vertical grain. The narrow strips of veneer are assembled later to form the veneer face. QUARTER SLICED—Quarter sliced veneer is produced in the same way as rift sawn veneer. WHOLE PIECE FACE---this is exactly what it is. Whole piece faces are made of rotary cut veneer. The whole piece face will not contain any splices. A whole piece face will give a continuous grain pattern across the entire panel. SPLICED FACE---this is where the faces are composed of several pieces of veneer glued together to form a face. The appearance of a spliced face is determined by the way the veneer are composed. BOOK MATCHED FACE---this is where the face is composed by turning over every other strip of veneer and joining them together. This produces a grain pattern that is matched at every veneer joint. The term book match refers to the veneer being matched just like the pages of a book. SLIP MATCHED FACE---This is where the face is composed by laying the veneer strips side by side and joining together to form the face. This produces a repetitive grain pattern. V/C—Veneer Core—This is the standard veneer cross-banding technique where an odd number of veneers are laminated together to produce the final panel. The number of veneers in a panel is referred to as the number of plies. Most hardwood plywood contains from 3 plies in ¼" plywood to 11 plies or more in the thicker panels. MDF—Fibercore—This is where a medium density fiberboard is used as the core in the manufacture of the panel. This is a three-ply construction using a face veneer, a back veneer and the fiberboard as the core. This type of construction tends to produce the most stable panel. Fibercore construction also offers a void free core with excellent machinability. The fibercore with its super smooth surface provides a superior core for finishing the face and back veneer. The only real negative on fibercore construction is the weight of the panel produced. A typical ¾" thick plywood with fibercore will weigh approx. 100 lbs. Hardwood plywood uses two alphanumeric characters to designate the grade of the panel. The first character refers to the quality of the face of the panel. This character is normally a letter-such as "A", however in special production products it could be a number. The second character is normally a number and refers to the quality of the back panel, however in special production products it could be a letter. A typical plywood grade would be A-1. This means that the plywood would have an "A" grade face with a "1" back. A-1 and B-2 plywood grades are typically the grades most often used in ½" and thicker panels for cabinet work. The most common grade used in ¼" panels is A-4. This means that the plywood will have an "A" grade face with a "4" back. A brief summary of the specifications of each face grade and back grade follows, along with a comparison chart of Columbia Forest Products "A Standard Beyond The Standard" and ANSI grades. Schaller Hardwood Lumber Company in an effort to provide the very best for our customers and their clients, stocks an A faced panel in all thickness of plywood. 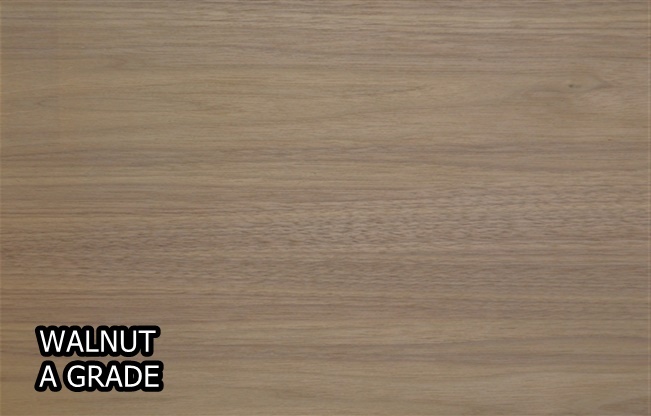 A-Grade Face—an "A" face on hardwood plywood should be matched for both grain and color. All veneer splices should be book-matched for a visually pleasing appearance. There should not be any abrupt changes in color or grain between the splices. An "A" face will not permit sound knots, repaired knots or rough-cut veneer. An A face may allow slight mineral streak and/or vine marks. The number of defects such as pin knots or small burls varies according to the specie of veneer. This is the best face grade on plywood normally stocked and is often used for upper-end cabinetry, architectural millwork, and quality furniture. B-Grade Face---a "B" face on hardwood plywood should be matched for a pleasing color, but not necessarily for grain. "B" grade faces are generally very similar to "A" faces, but do allow some sound or repaired knots and some slight rough cut veneer. "B" grade faces will also allow slight mineral streak and vine marks. "B" grade faces are, often used by customers wishing to save a little money on plywood. Many suppliers offer the "B" grade faces in lieu of "A" grade faces in an effort to be more price competitive. Comparing the price of "A" grade faces and "B" grade faces is not comparing apples to apples. Always be sure to specify the face grade of plywood you are wishing to receive. C-Grade Face—a "C" face on hardwood plywood allows for unlimited pin knots and small burls. A "C" face can also contain repaired knots and sound knots. The "C" grade will also allow unlimited mineral and vine marks. A "C" face should be a sound smooth face. A "C" face is used primarily on paint grade type panels, in lower-end case work, and for cabinet interiors in upper-end cabinetry. D-Grade Face---a "D" face on hardwood plywood is similar to the "C" face, but will allow some rough cut veneer and a few more repaired and sound knots. 1 Back—can contain up to 16 sound tight knots not exceeding 3/8" in diameter. Allowed to contain unlimited mineral streaks. A "1" back will not contain any repaired knots. The "1" back is most often paired with A faces at Schaller Hardwood Lumber Company on all plywood exceeding 3/8" in thickness. We also pair a "1" back with "A" grade faces on all 1/4" plywood that is to be used as door panels. 2 Back---can contain up to 16 sound tight knots not exceeding ¾" in diameter. A "2" back can also contain repaired knots, rough cut veneer, and unlimited mineral streak. Many suppliers, in an effort to cut cost pair a "2" back with an A face. Don’t be misled by those who say an A-2 panel is the same as an A-1 panel. 3 Back---normally not used in any of the plywood Schaller Hardwood Lumber Company stocks. 4 Back---this is generally referred to as a reject back. A "4" back is to be used in concealed areas where appearance is of no concern. The "4" back is most commonly used on 1/4" plywood. However, it may also be used on thicker panels when the back will play no role in the appearance of the finished product. 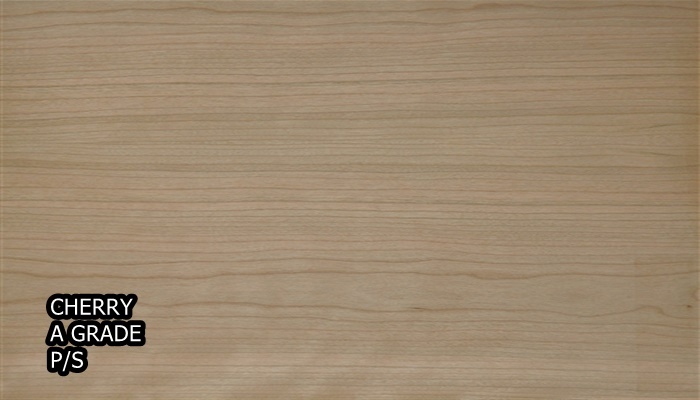 1/4" 4x8 C-4 Plain-Sliced Alder v.c. 3/4" 4x8 A-B Plain-Sliced Alder v.c. 1/2" 4x8 B-2 Uniform White Ash v.c. 3/4" 4x8 A-1 Select White Ash v.c. 1/4" (5mm) 4X8 A-B P/S European Steamed Beech v.c. 1/4" (5mm) 4x8 A-B P/S White European Steamed Beech v.c. 1/2" 4x8 (13mm) 4x8 A-B P/S European Steamed Beech v.c. 3/4" 4x8 Import C-2 Rustic European Steamed Beech v.c. If you desire a different thickness, size, or quality of Russian Birch than listed above please contact Bruce or your sales professional. B----Selected one-piece face, generally light and even in color. Occasional small pin knots and some brown streaks may be allowed, but generally no patches, voids or mineral streaks. Sanded surface intended for natural finish. BB—One-piece face generally light and even in color. Pin knots and mineral streaking or discoloration is allowed with occasional sound tight knots permitted. Open knots and defects in BB face veneers have been cut out and replaced with small oval or round veneer patches before gluing. The veneer selected for the patches is of the same general color as the face veneer. Sanded surface. This is the face grade and back grade veneer used on the Russian Birch stocked by Schaller Hardwood Lumber Company. CP—One-piece face very close to grade BB. Rejected from BB for small defects with more streaking. Occasional hairline splits of less than .5mm are allowed. The oval or round patches may or may not be matched for color with the base face veneer. There will normally be more patches per face than the BB grade. Sanded surface. C---Patches, open knots and veneer splits allowed. Not sanded. 1/8" 4x8 A-0 Bending Birch v.c. 1/8" 4x8 A-4 (FD Passed) Import Rotary cut Birch v.c. 1/8" 4x8 A-4 Rotary Cut Select White Birch v.c. 1/4" 4x8 A-4 (FD Passed) Import Rotary cut Birch v.c. 1/4" 4x8 A-1 (FD Passed) Import Rotary cut Select White Birch v.c. 1/4" 4x8 A-4 Rotary Cut Natural Birch v.c. 1/4" 4x8 A-4 Rotary Cut Select White Birch v.c. 1/4" 4x8 A-1 Rotary Cut Select White Birch v.c. 3/8" 4X8 A-1 Rotary Cut Natural Birch v.c. 3/8" 4x8 Shop Grade Rotary Cut Natural Birch v.c. 1/2" 4x8 A-1 Rotary Cut Natural Birch v.c. 1/2" 4x8 B-2 Rotary Cut Uniform White Birch v.c. 1/2" 4x8 Shop Grade Rotary Cut Natural Birch v.c. 3/4" 4x8 A-1 Rotary Cut Natural Birch v.c. 3/4" 4x10 A-1 Rotary Cut Natural Birch v.c. 3/4" 4x8 B-2 Rotary Cut Natural Birch v.c. 3/4" 4x8 C-2 Rotary Cut Natural Birch v.c. 3/4" 4x8 D-3 WPF Rotary Cut Natural Birch v.c. 3/4" 4x8 Paint Grade Rotary Cut Natural Birch v.c. 3/4" 4x8 Shop Grade Rotary Cut Natural Birch v.c. 3/4" 4x8 Shop Grade Rotary Cut Uniform White Birch v.c. 1" 4x8 A-1 Rotary Cut Natural Birch v.c. 1" 4x8 D-3 WPF Rotary Cut Natural Birch v.c. 1-1/8" 4x8 A-1 Rotary Cut Natural Birch v.c. 1-1/8" 4x8 D-3 WPF Rotary Cut Natural Birch v.c. 1-1/4" 4x8 D-3 WPF Rotary Cut Natural Birch v.c. 1/4" 4x8 Prem. C-2 WPF White Cambo Birch (Import) v.c. 1/4" 4x8 Prem. C-2 WPF White Cambo Birch UV 1-side (Import) v.c. 1/2" 4x8 Prem. C-2 WPF White Cambo Birch (Import) v.c. 1/2" 4x8 Prem. C-2 WPF White Cambo Birch UV 1-side (Import) v.c. 1/2" 4x8 Prem. C-2 WPF White Cambo Birch UV 2-side (Import) v.c. 3/4" 4x8 Prem. C-2 WPF White Cambo Birch (Import) v.c. 3/4" 4x8 Prem. C-2 WPF White Cambo Birch UV 2-sides (Import) v.c. 1/4" 4X8 A-4 Plain-Sliced Aromatic Red Cedar v.c. 1/4" 4x8 A-4 (FD Passed) Plain-Sliced Cherry v.c. 1/2" 4x8 A-1 Plain-Sliced Cherry with Maple back v.c. 1/2" 4x8 A-1 Plain-Sliced Cherry v.c. 1/4" 8x4 Bending Grade Lauan/Meranti v.c. 3/8" 4x8 Bending Grade Lauan/Meranti v.c. 3/8" 8x4 Bending Grade Lauan/Meranti v.c. The Bending Lauan/Meranti plywood is a three-ply construction. The 8x4 panels have the grain running the 4’ length, this panel will bend to make a 4’ high cylinder. The 4x8 panels have the grain running the 8’ length, this panel will bend to make a 8’ high cylinder. The minimum radius for bending should be approximately 7". For best bending results, all component parts should be completely "flexed" to achieve maximum flexibility. You may be able to achieve less than a 7" radius by using significant force. 3/4" 4x8 A-1 Plain-Sliced African Mahogany v.c. 1/2" 4x8 B-2 Uniform White Hard Maple v.c. 1/2" 4x8 C-2 Natural Hard Maple v.c. 3/4" 4x8 A-1 Select White Hard Maple v.c. 3/4" 4x8 B-2 Uniform White Hard Maple v.c. 3/4" 4x8 Paint Grade Natural Hard Maple v.c. 3/4" 4x8 Shop Grade Uniform White Hard Maple v.c. 1/8" 4x8 3mm A-4 (FD-Passed) Import Plain-Sliced Red Oak v.c. 1/4" 4x8 5.2mm A-4 (FD-Passed) Import Plain-Sliced Red Oak v.c. 1/4" 4x8 5.2mm A-1 (FD-Passed) Import Plain-Sliced Red Oak v.c. 3/8" 4x8 A-1 Rotary-Cut Red Oak v.c. 1/2" 4x8 A-1 Rotary-Cut Red Oak v.c. 1/2" 4x8 A-1 Plain-Sliced Red Oak v.c. 1/2" 4x8 Shop Grade Rotary-Cut Red Oak v.c. 3/4" 4x8 A-1 Rotary-Cut Red Oak v.c. 3/4" 4x8 B-2 WPF Rotary Cut Red Oak v.c. 3/4" 4x8 C-2 Rotary-Cut Red Oak v.c. 3/4" 4x8 D-3 WPF Rotary-Cut Red Oak v.c. 1" 4x8 B-2 Rotary-Cut Red Oak v.c. 1/4" 4x8 5.2mm A-4 (FD-Passed) Import Plain-Sliced White Oak v.c. 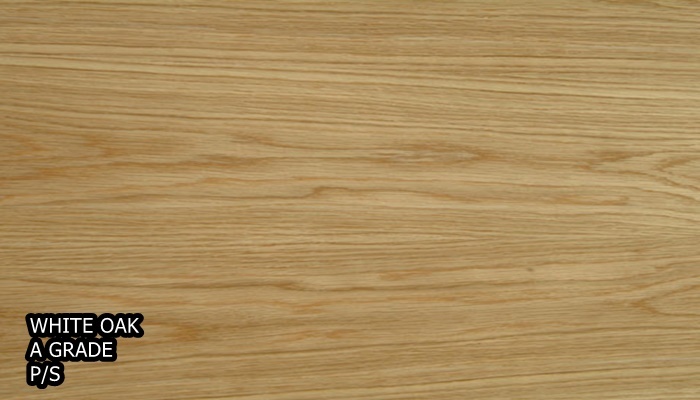 1/2" 4x8 A-1 Plain-Sliced White Oak v.c. 1/8" 4X8 A-4 Plain-Sliced Hickory/Pecan v.c. 1/2" 4x8 A-1 Plain-Sliced Hickory/Pecan v.c. 1/2" 4x8 A-1 Plain-Sliced Hickory/Pecan with Maple back v.c. 1/8" 4x8 A-4 Plain-Sliced Knotty Pine v.c. 1/2" 4x8 A-1 Plain-Sliced Knotty Pine v.c. 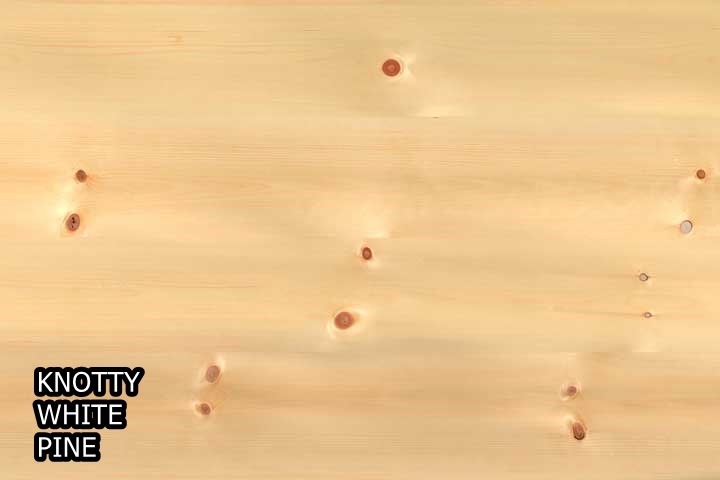 1/2" 4x8 A-1 Plain-Sliced Knotty Pine with Maple back v.c. 1/4" 4x8 A-1 Plain-Sliced Clear White Pine v.c. 3/4" 4x8 A-1 Plain-Sliced Clear White Pine v.c. 1/4" 4x8 B-4 Rotary-Cut Natural Poplar v.c. 1/4" 4x8 B-4 Rotary-Cut Uniform White Poplar v.c. 3/4" 4x8 B-2 Rotary-Cut Natural Poplar v.c. 3/4" 4x8 B-2 Rotary-Cut Uniform White Poplar v.c. 3/4" 4x8 A-1 Plain-Sliced Sapele v.c. 1/4" 4x8 5.2mm A-4 (FD-Passed) Import Plain-Sliced Walnut v.c. Columbia Plywood has converted all of its hardwood plywood and particleboard facilities to a proprietary formaldehyde-free manufacturing system called PureBond®. Cost-competitive with the similar urea formaldehyde (UF)-made hardwood plywood, Columbia's PureBond formula is derived naturally, then enhanced with a proprietary resin, giving it particularly strong bonding and water-resistance qualities. And better yet it enables Columbia to completely eliminate formaldehyde from its standard veneer-core decorative panel production. Trupan is a double refined medium density fiberboard produced from only fresh debarked Radiata Pine logs harvested from sustainable forests. 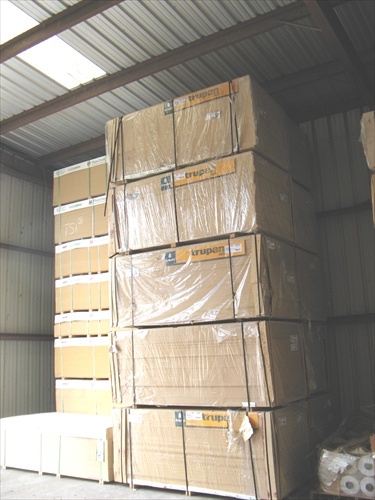 By using only fresh Radiata Pine logs, no other species, or wood waste, Trupan is able to produce a very light colored medium density fiberboard. The use of Radiata Pine in the production of Trupan produces a fiberboard that is extremely easy to machine. The Radiata Pine content of Trupan tends to prolong cutter life. The double refining produces a board that is very consistent throughout its core, thus making it the perfect choice for edge profiling, moulding, and routing. Trupan is produced in Chile and imported into the United States. Because of the longer lead times it is important to have a supplier that carries an adequate inventory. At Schaller Hardwood Lumber Company, we carry perhaps the largest most diversified inventory of Trupan in the Midwest. TRUPAN LIGHT---weighs approximately 80% of a standard mdf or about 80 lbs per sheet of 3/4" 4x8. Trupan Light is the best choice for producing moulding, raised panels, and edge profiling. TRUPAN ULTRA LIGHT---weighs approximately 60% of a standard mdf or about 60 lbs per sheet of 3/4" 4x8. Trupan Ultra Light is the best choice for any use where weight is a factor. Trupan Ultra Light will machine very well. The above are stock sizes carried in Schaller Hardwood Lumber’s stock inventory. Special sizes can be brought in from the mill with adequate lead-time and minimum quantities. Please contact your Schaller Hardwood Sales Professional or Bruce with any questions you may have regarding Trupan. Plum Creek Super-Refined MDF 2 has become the product of choice for many of the custom cabinet shops producing raised panel MDF doors. The Plum Creek Super-Refined MDF 2 provides a very uniform tight core that is excellent for machining and painting. Flakeboard Premium MDF is manufactured in Malvern, AR using Southern Pine (Yellow Pine) wood fiber. Flakeboard Premium MDF is often the best choice for cabinet manufacturers, case good producers, and furniture manufacturers. Flakeboard Premium MDF provides an extremely smooth surface and a good consistent core.